How’s it going? Hoje eu falo pra vocês sobre uma pessoa que conheci no fim de semana: a black cab driver. Today I’m gonna tell you about an acquaintance I made over the weekend. I went for a guided walk in central London, with a group, and as we waited for other people to arrive at the meeting point I struck up a conversation with this guy David. He was born and raised in London, and now lives near Heathrow airport. He told me that he will soon be moving to a nice area further up north. I then asked him about what his commute was going to be like after he moved house, and he said that it doesn’t really matter since he drives a black cab. So that’s his occupation: he drives a black cab. He told me that he had to pass a test in order to be qualified as a black cab driver. He studied for three years – yes, that’s three years – to prepare for the exam. Just to give you an idea, David had to memorise over three hundred routes in London. Basically, you’ve got to know the map of London by heart, as well as all the important landmarks and buildings. Twenty-five thousand streets… How about that? 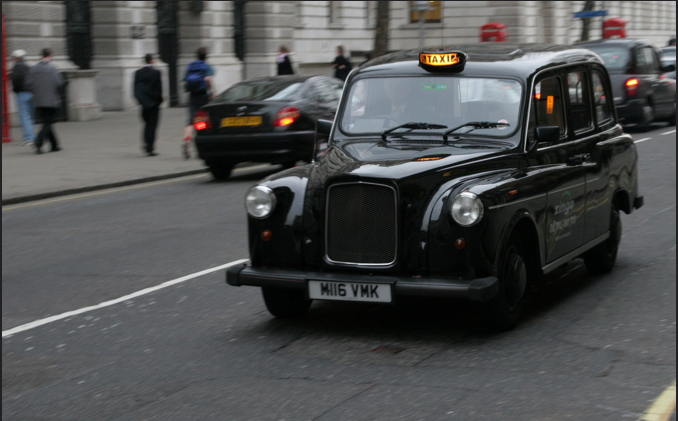 In London you have the choice of black cabs and mini-cabs. Black cabs are the more expensive option and now I understand why. The driver of a black cab is highly qualified and chances are better that, you know, you’re not going to be ripped off or run into any sort of trouble. With that said, there are good reputable minicab firms as well – but it’s a lot easier to become a minicab driver than it is to be licensed and qualified to be a black cab driver, so… It’s just less risky to hop into a black cab than a minicab. While we were walking, I told David where I live in London – it’s an area called West Norwood which most people haven’t heard of, but he obviously knew immediately where it was. Not only that, but he knew there was a somewhat famous cemetery in West Norwood, and he ended up giving me a few tips on local attractions that I could visit. David then told me about his trip to the United States a while ago. I think he visited seven or eight cities, and his favourite one was New York, and the least favourite one was San Francisco. So there you go: now you know a little bit about the life of a black cab driver in London. What are your thoughts? Let me know in the comments and talk to you next time! Não seria “his commute IS going to be”? Oi José – nesse caso, o WAS é correto. Poderia ser IS, mas aí eu teria que continuar com “after he moves house”. Great post, I’ve never heard about that before.